Will You be skiing with us at Castleford, or entering the slalom races at Pendle…? Details of booking for these sessions below. 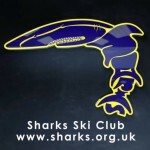 From This Saturday, you will no longer be able to obtain your SnoZone slope pass directly from us at Sharks Ski Club. You will need to pay for your pass at the SnoZone front desk. We anticipate that for the first few weeks there will be long queues at the check in desk, as skiers will need to be registered on SnoZone’s system. If you haven’t already done so, then please fill in the registration form for each member of the family that intends to ski. Another important change is the need to reintroduce Subs, for those members skiing with Sharks. For this reason we plan to start charging £2 per session per skier. Buy Slope Pass from SnoZone front desk. A fun Slalom event traditionally well represented by ‘Sharks’. A great team relay event open to all ages and abilities from the Under Sixes to the Under Seventies! Please confirm your interest with me as soon as possible so that I can put the teams together, they have to be in for Thursday evening. Should you need more information please e-mail Paul Smith paul@moonlight-textiles.co.uk or text/message him on 07774 845 444 (under 18’s please copy in a parent/guardian).